Receive an introduction to Akua Inks and accessories by way of a hands-on demonstration on monotype printmaking! 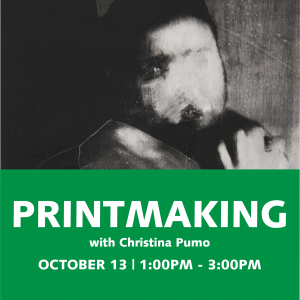 Attendees will have the opportunity to create their own prints using Akua Intaglio and Liquid Pigment Inks, experiencing first-hand how the unique working properties of these incredible inks lend themselves to a wide range of printmaking and other techniques/media. Print your own one-of-a-kind designs using the Akua Pin Press! This workshop will feature products by Akua Inks and Speedball Art Products. It will take place at Hull’s Second Story Gallery + Workshop, upstairs from Hull’s Art Supply + Framing.